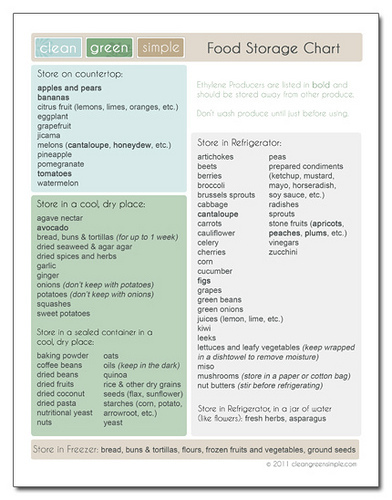 For anyone who has wondered what the best way to store your produce, spices, flours, dried fruits and nuts, Jessica at Clean Green Simple explains it all. With her handy streamlined chart, she outlines how and where to store just about everything! 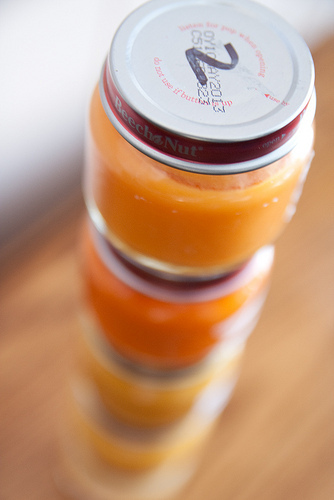 From reusable linens and eco-bags to keep produce fresh to using Mason jars to store bulk-bin items, she highlights the best storage methods that are both friendly to your budget and the planet! Download the chart as a PDF here. Photo by Steven Depolo and Clean, Green Simple.